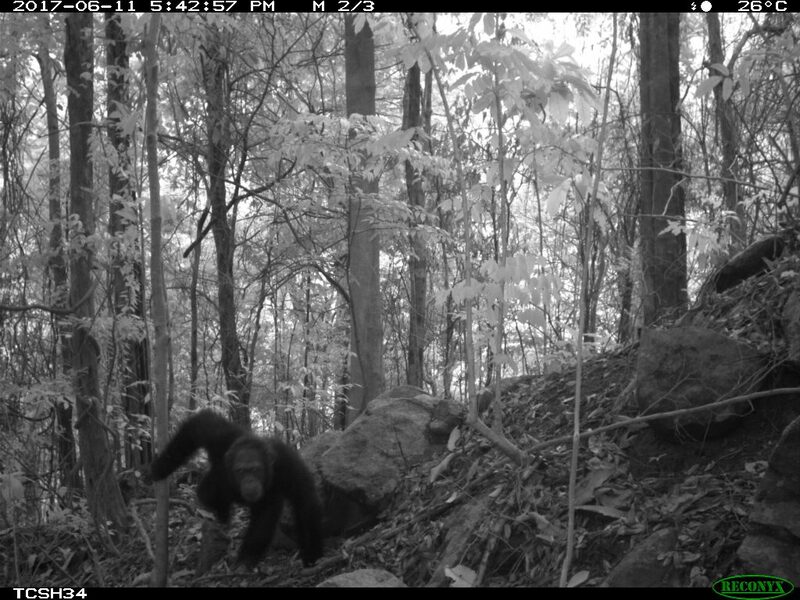 Camera trap surveys are an essential part of our research program to identify both chimpanzee and other wildlife populations in an effort to estimate the biodiversity in target areas. The initial survey in 2011-2012 was part of the National Chimpanzee Census Project with significant help from the Barcelona Zoo and Dr. Rosa Garriga. We used 18 infra-red cameras in total, which were moved gradually throughout 130 locations across the peninsula. The cameras were placed roughly a kilometre apart, covering an area of 167 square kilometres. 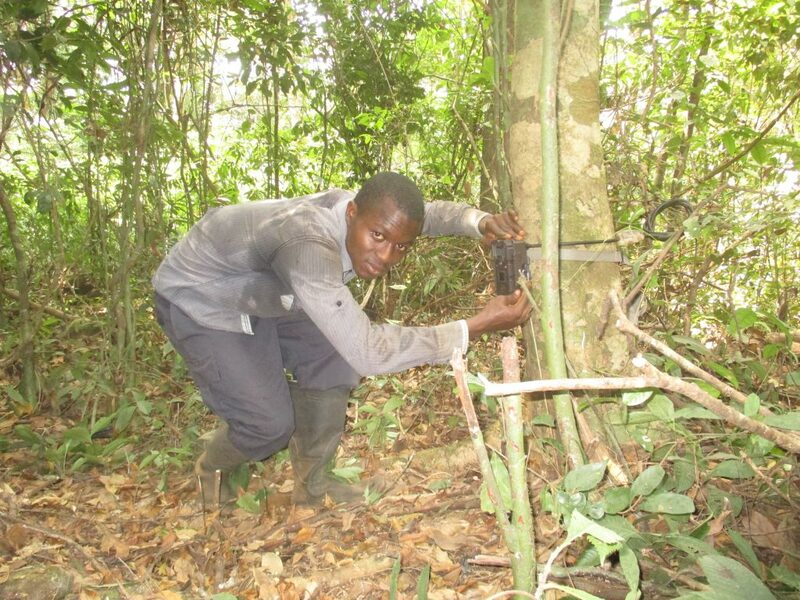 The idea behind the camera traps was to increase knowledge of distribution, home range, and relative abundance of the wild chimpanzees, to prepare for potential reintroduction into the wild, and to increase the biodiversity data for these threatened forest areas. As well as investigating chimpanzees, we collected data on relative abundance of other terrestrial animals, and the presence or absence of endemic species such as the Jentink’s duiker. Finally, we hoped to gain a deeper understanding of the direct and indirect threats to the forest and its wildlife. Lasting 12 months, the cameras operated continuously over a 30 day period in each location, amounting to a total of 3,958 trap days and 6,147 photographs of animals recording 21 different species, including 4 primate species, 5 species of ungulates, 5 of rodents, 4 of carnivores, 2 bird species, and 1 of anteater. We were very excited to capture over 200 photographs of Jentink’s Duiker between October 2011 and February 2012; these are the first irrefutable evidence of their presence in Western Area Peninsula Forest Reserve (WAPFoR). This data was useful in the case to turn WAPFoR into a Sierra Leone’s third national park, which the government designated in 2013. You can download the WAPFoR Camera Trap Survey Report from 2012 by clicking here. 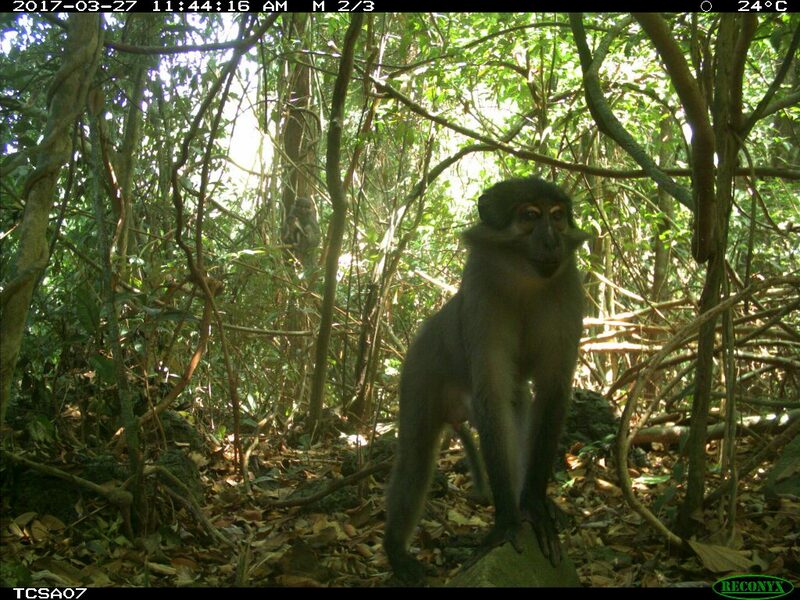 Since 2012, we have expanded our camera trap surveys. 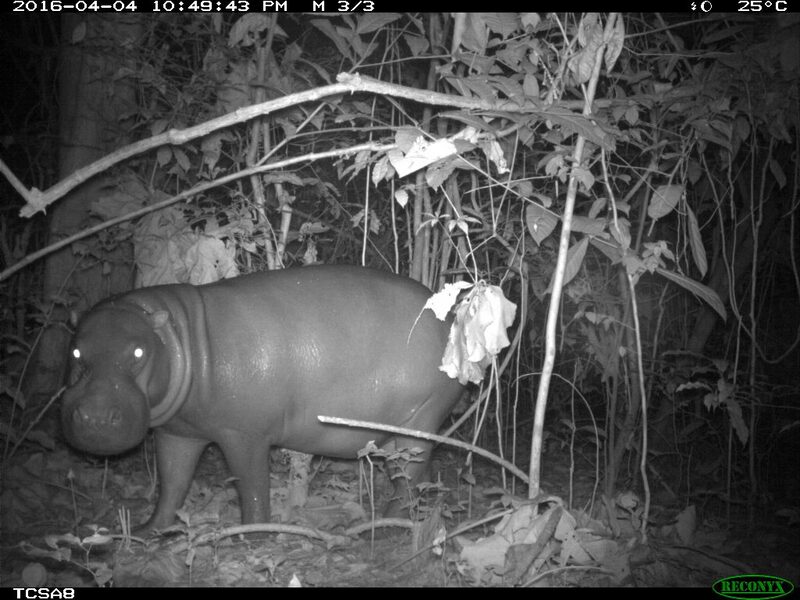 We now have more cameras deployed in many locations around the country thanks to our dedicated outreach team, including an annual survey in the Western Area Peninsula National Park (WAPNP) and our new eco-tourism and research site at Tiwai Jaibui island, where we have discovered the endangered pygmy hippos and various kinds of colobus monkeys. These biodiversity surveys not only inform stakeholders, but help to inform our work in the communities and the threats we can help alleviate. For more information, see the reports below for some of the results from our surveys.